The Reno Tahoe region is experiencing a revolutionary period of growth and is quickly becoming one of the fastest-growing business destinations in the country. Numerous redevelopment and investment projects have been spurred by a boom in manufacturing, e-commerce and technology. In addition to new construction, many older properties have recently been purchased for mixed-use redevelopment. Built in 1926, the Cal Neva Lodge & Resort is an historic resort on the eastern shore of North Lake Tahoe. Recently purchased by tech mogul Larry Ellison, Cal Neva Lodge & Resort has a rich and colorful history, gaining notoriety Frank Sinatra’s gaming hotspot for the rich and famous. Though plans for development are premature, the resort’s potential is endless due to the stunning views and fantastic location. Fountain District developer, Jacobs Entertainment has invested more than $90 million into purchasing Sands Regency Casino Hotel and properties on an additional three blocks of downtown Reno. With plans to expand and renovate the Sands, Jacobs Entertainment is looking to reinvent the district multiple use, including commercial development, event spaces and parking. Plans also include additional housing, which is in short supply in downtown Reno. These acquisitions are a part of a $500 million planned development project called the Fountain District, that will encourage more arts, entertainment and dining establishments to serve both visitors and locals. Also in downtown Reno, the former Sundowner casino has been acquired by Pine Cone Circle Investment, which is considering mixed-use redevelopment of the property; from housing to a potential grocery store, and from restaurants to retail. Midtown is a thriving district, filled with quirky coffee shops and trendy boutiques, quickly becoming the ideal neighborhood in which to live and enjoy an eclectic range of commerce and entertainment. Eric Raydon and Par Tolles from Marmot Properties and Tolles Development Co. have invigorated this urban expansion by investing $18 million into Midtown, with their recent purchase of seven multi-tenant commercial properties. Plans include updates to many older buildings, while preserving the historic architecture and creating more space for tenants. With the new entrepreneurial growth and influx of companies coming to Reno Tahoe, these redevelopments will help accommodate the region’s need for more housing for locals, and more entertainment and shopping for visitors. 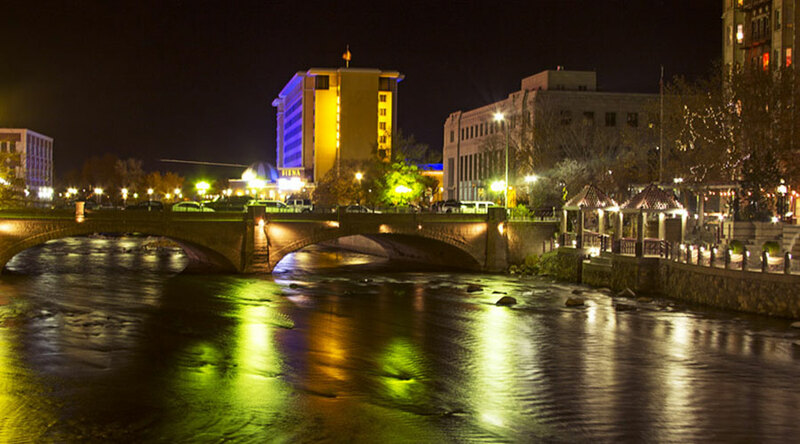 With an elevated quality of life, the great outdoors, and a bustling city, brimming with activities for everyone, Reno Tahoe is truly a unique destination, appealing to all walks of traveler.